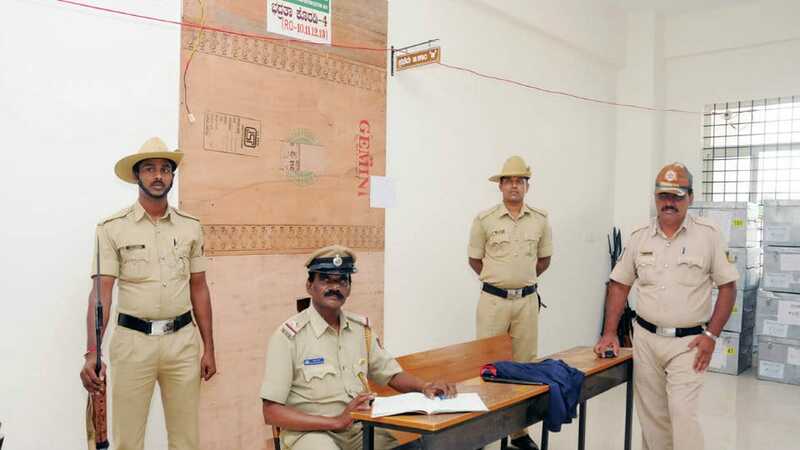 Mysuru: With the fate of 393 candidates, including 163 women, who had contested elections for 65 Wards of Mysuru City Corporation (MCC) sealed in EVMs, the five Strong Rooms at Maharani’s College of Commerce and Management on Valmiki Road, Vinayakanagar (Paduvarahalli), have been fully secured, with over 150 Police personnel and a KSRP platoon guarding them round-the-clock. The counting of votes polled in yesterday’s election, will be taken up at 8 am on Sept.3 (Monday). 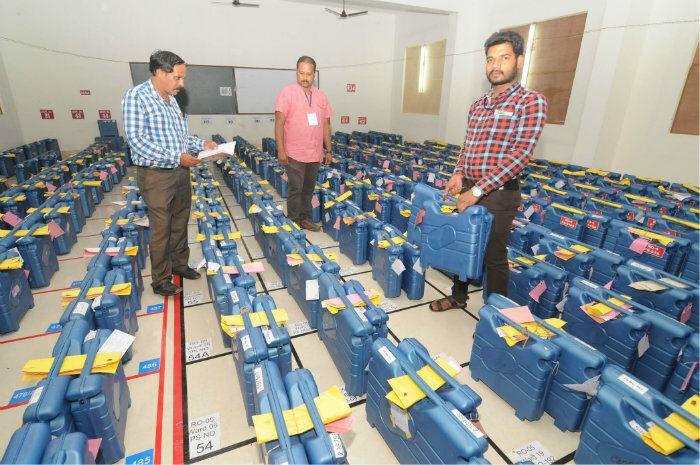 In all, 13 rooms of the college have been dedicated for counting of votes of all the 65 MCC Wards, with one Returning Officer (RO) appointed as in-charge of one Counting Room. The polling was held from 7 am to 5 pm at 815 Booths, including 90 Auxiliary Booths, across the city, with 3,99,428 out of the 7,98,690 voters exercising their franchise. Sensitisation session held for candidates: With hardly two days left for counting of votes, the District Administration and MCC officials held a sensitisation session for all the contesting candidates and their poll agents, on the counting process and declaration of results, at two rooms in the first floor of the College this morning. The officials educated the candidates on the entire counting process right from opening of the EVMs till the final declaration of results. All the candidates who attended the session were required to pass through a metal detector as part of security check and also sign a register.